Located one subway stop away from the Bourdelle museum (Falguière – Notre-Dame Des Champs on line 12), the Zadkine Museum is a very refreshing spot in Paris. Formerly the house and workshop of the Russian sculptor Ossip Zadkine, you can there discover his sculptures. Not to mention its lovely garden. It’s a real small piece of countryside reflecting the soul of the artist. Moreover, some of the bronze sculptures of the garden were placed there by Zadkine himself! Take the bus 38 in the direction of Porte d’Orleans, and get off at Val de Grace (barely 10 minutes). 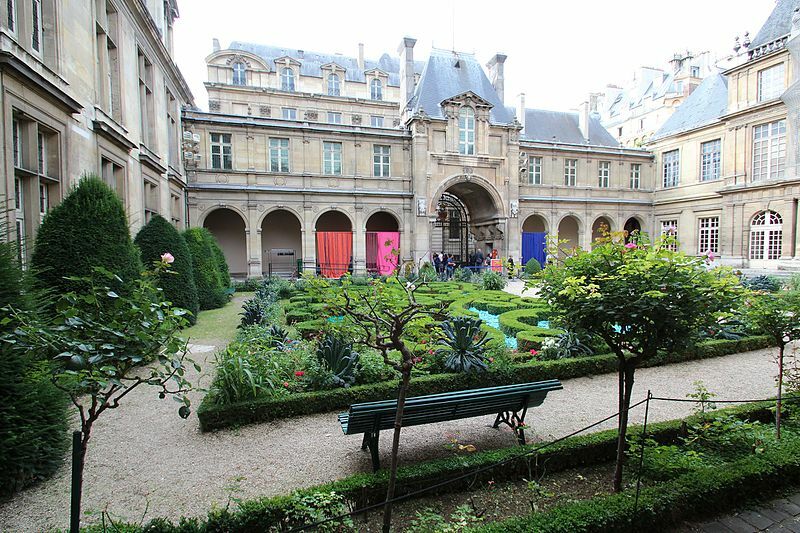 There you will see the Carnavalet museum, dedicated to the history of Paris. From the Gallo-Roman era to the French Revolution, passing through the Middle Ages, the Carnavalet museum whisks you off a journey through time in the city of Light. 200 meters further, you can find the Cognacq-Jay Museum. Discover a brilliant collection of works and art objects from the 18th century, legacy of Ernest Cognacq and his wife Marie-Louise Jaÿ. This museum is housed in a magnificent 16th century hotel, recently renovated and classified as a historical monument. With lighting meticulously highlighting the artworks, it is a treat for the eye. Arts of the 18th century lovers, this small Parisian museum is for you! Indeed, the soul and the refinement of Parisian life during the Enlightenment century emanates from Watteau’s drawings, paintings by Greuze, Rembrandt, or Fragonard, but also porcelains from Saxony … It really is a museum in which to stroll feeling good. We recommend a walk in the Marais neighborhood before the next and last step. Thus, let’s go down to l’île de la Cité, and stop at the beautiful Queen Elizabeth II flower market. Then, direction Saint Germain des Prés (4 metro stops on line 4) to visit the beautiful museum Eugene Delacroix. Dependence of the Louvre museum, located in the heart of Saint Germain des Prés in Paris, this museum pulls you into the romantic and intimate universe of the great painter. It is indeed a singular museum, formed by the former apartment of the painter, his studio and his “happy garden”. Artist’s house and place filled with history, it is a captivating spot where calm and serenity reign. It’s a marveling place in the heart of Paris! To finish this tour, take line 4 to Vavin metro stop, 90 meters away from the hotel (3 stops only).